In response to HB2 commonly known as the North Carolina bathroom law the ACC has taken the step of moving neutral site conference championship locations outside the state. Why did the ACC do this? One thing that cannot be overstated is academic institutions have very diverse student bodies. For this reason university administrations care very deeply about having an environment of openness and inclusion. The HB2 legislation directly contradicts such an environment. Universities also have very progressive and politically active student bodies that are expecting their administration to make a stand against such a bill. The ACC like many institutions who have a presence in the state were put in an awkward spot as soon as this bill was passed. Taking even a passive stance on the issue would be viewed as an endorsement of HB2. Institutions of higher education along with most businesses care about their relationship with the public. They do not want to be seen as taking the wrong side as that would negatively impact that relationship both currently and in the future. For the ACC their position was to either take a stand against HB2 or be viewed as endorsing it. The NBA moving their All-Star out of the state brought even more pressure on the conference. However once the NCAA started moving events out of North Carolina it was a no brainer for the conference. The NCAA taking a stand signified the position of university officials as a whole. The ACC certainly didn’t want to imply that they too took the issue of inclusion less seriously than other schools. While I’m sure the ACC would have come to this decision eventually, the NCAA taking a stand only served to hasten the speed at which the conference came to this decision. I seriously doubt the ACC would have passed such a measure without the full support of the four North Carolina schools. For the ACC this is a huge deal. The state of North Carolina is the heart of ACC country. The conference has by far a larger cultural and historical attachment to North Carolina than any other state. When people think “ACC” one of the first thoughts is Duke and UNC. North Carolina has also been widely viewed as the political stronghold of the conference since four conference members are located within its borders. North Carolina also acts as the geographic center of the conference making it a prime location to host conference championships. So it is a pretty big statement that the ACC is willing to take a stand against a state they have such a deep attachment with. It also comes at a crucial time for the ACC as the conference has recently expanded and is trying to become less focused on North Carolina to accommodate its more regionally diverse membership. Even before HB2 was passed the conference had started focusing on placing the basketball tournament in new locations, which has historically been almost exclusive to North Carolina. The timing means North Carolina doesn’t have as much to lose when it comes to basketball. But if this drags out it could hurt the political capital of ACC members insisting on championships in North Carolina over the next couple of years. It is already becoming increasingly difficult for the conference to justify favoring North Carolina now that the conference footprint has shifted so significantly during conference realignment. Any lingering animosity over HB2 will only serve to make it harder for North Carolina to win the bid for hosting ACC events. 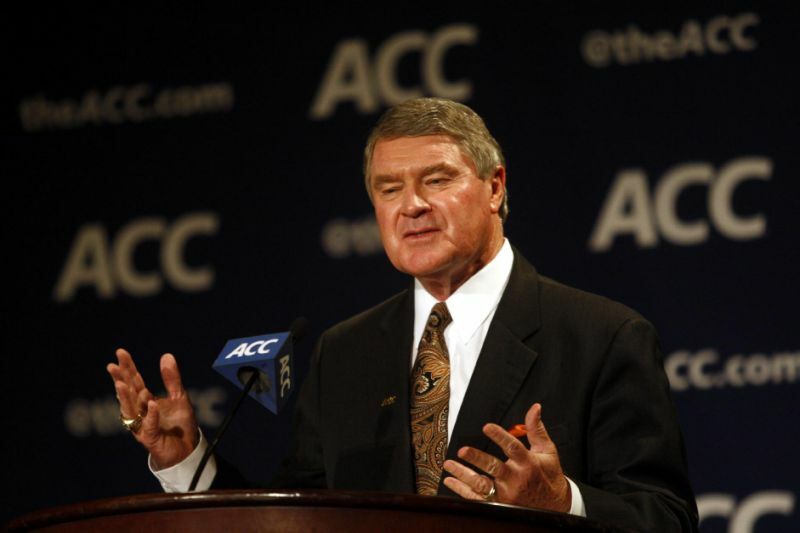 What is next for the ACC? 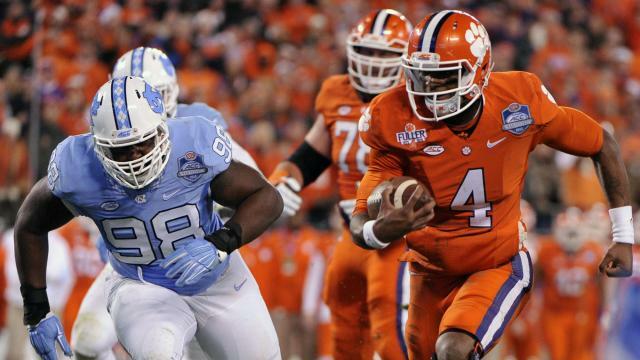 The ACC is in a tough spot regarding football the football championship game. It is challenging to find an ideal location on such short notice. Conference championship games are expected to have a bowl-like atmosphere. That means warm weather and an NFL quality venue, but also in an ideal geographic location. The most logical choice for this would be Atlanta, however the SEC is playing their championship game at that location. This leaves the ACC with a number of options, but no ideal option. They could try scheduling the game at an ACC school, which is not an ideal option but still a viable solution. The Pac-12 did this shortly after expanding to 12 members. The conference could look for another NFL stadium such as Jacksonville or Tampa Bay. 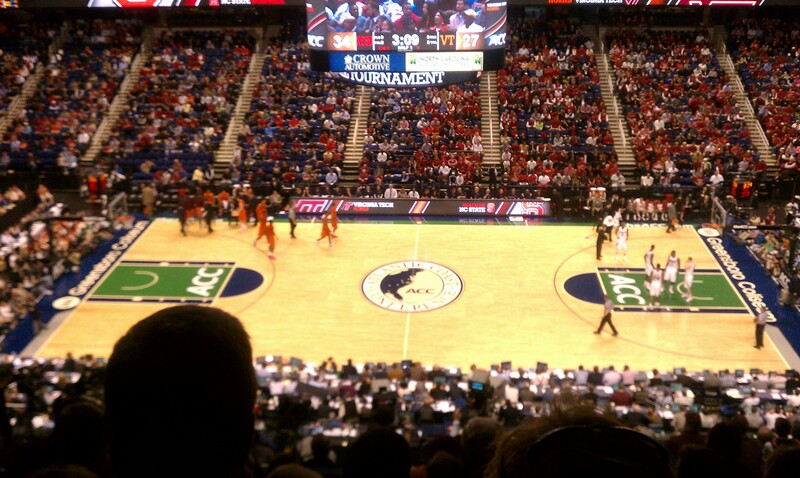 The ACC originally held their championship game in Florida before switching to North Carolina because attendance and sponsorship hadn’t performed well. So the ACC has a bad memory of a Florida location, but it should be noted that since then Florida State has revitalized their program and that could be enough to make the venture successful this time around. The question is whether the ACC work around the NFL schedule for those locations. This would make Orlando the best option for the ACC as it would provide scheduling flexibility. A possible last measure of desperation would be to try to work with the SEC in an attempt to share the Atlanta location. Meanwhile for the four ACC schools located within the state this only highlights what has been a problem for them prior to the ACC making this decision. Five states have banned non-essential travel to North Carolina. This caused UNC to lose a game in women’s basketball against Vermont and Duke to lose a Men’s basketball game against Albany. The ACC decision is another tough pill for them to swallow, but on the bright side it will add to the political pressure being exerted on North Carolina politicians and will probably speed up the process for this bill being repealed allowing these four schools to breath easy again.